LeafFilter North - Excellent Service, Product and Everything Else! Everyone at Leaf Filter has been excellent, from the very first inquiry to job completion, we have been very impressed. Gage, our estimator, was extremely courteous, professional and honest! He would always get back to us immediately when we had any questions! 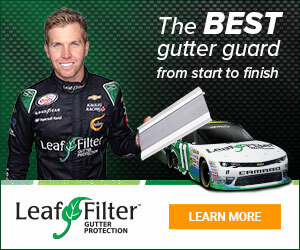 Leaf Filter also provides excellent value and we highly recommend them to anyone looking for high quality gutters with high quality service! – Chris R.
Product or Service Mentioned: Leaffilter North Customer Care. Review #1502695 is a subjective opinion of testimonial.